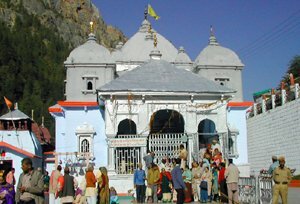 Replete with breathtaking places and challenging trails and of course innumerable high altitude shrines, Garhwal has always been an object of interest for all the adventure buffs along with Hindu devotees. 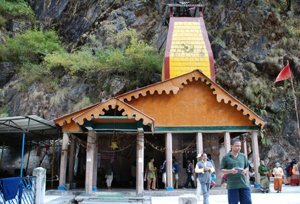 This region of Uttarakhand gets maximum of its fame from the Char Dham Yatra that is mostly operational between April and October each year. 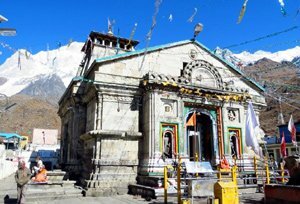 Perched on high altitude are four temples of Hindu Gods that are not only famous for their divinity but also for the difficult accessibility. Requiring motoring through tricky terrains and trekking through rough uphill trails, these temples in a way allure adventurists to test their endurance. The Char Dham Motorbike Safari tour gives adventure junkies the opportunity to experience adrenaline rush and spirituality at the same time. The tour that begins from Barkot, takes one through beautiful places like Harsil. During the expedition, one has the opportunity to witness take a dip at a hot spring at Gangnani near Gangotri; witnessing the beautiful River Mandakini and the lovely undulating meadows of Chopta near Joshimath. This motorbike expedition offers a good look at the diversity and serenity of Garhwal and also let one realize the extent of immense faith people come here with. A pleasing and thrilling experience, the Char Dham motorbike safari is indeed a must-do in Garhwal. On arrival you will be driven to your hotel by our representative. Overnight stay in the hotel in Delhi. In the morning, we will board Shatabdi Express for Haridwar. On arrival, we will check-in to a hotel. The day will be to enjoy sightseeing in Haridwar. Later in the evening, we shall walk along the River Ganges on the ghats and visit the various temples and ashrams. We will also witness the famous Ganga Aarti at the ghats Haridwar (Har ki paudi). Later walk/ drive back to the hotel for overnight stay. Post breakfast today, we shall depart from Haridwar for Barkot. Lunch at Mussorie where we will also visit Kempty falls. We will reach Barkot by evening. On arrival, check-in to the hotel/ camp for overnight stay. In the morning, we shall begin our motorbike ride. We will ride for about 30kms to Hanuman Chatti and further to Phool Chatti for about 5kms more. 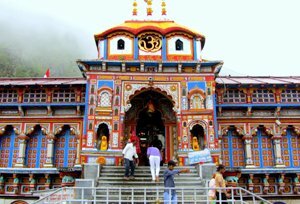 Afterwards it is an exciting trek of 7kms to Yamunotri. Later trek back to Phool Chatti camp for an overnight stay. Post breakfast, we shall leave for Harsil, which is about 152kms from Barkot. On the way, we shall stop at Uttarkashi for Tea/ Coffee & Lunch (Packed). We will also stop at Gangnani for an experience of hot water spring dip (optional). Continue our bike ride to reach Harsil, which is reckoned to be one of the most beautiful valleys in India. On arrival, check-in to a camp for dinner and overnight stay. Today, we shall leave for Gangotri, also called the origin place of River Ganga. It will take about 4hrs to reach. After picnic and lunch, we will head back to Uttarkashi for the overnight stay. After an early breakfast, we shall leave for Guptkashi. Lunch en route at Srinagar. Post lunch, we shall bike further; en route we will witness the beautiful River Mandakini with its eye catching basin. We will bike along the river and reach Guptakashi late in the evening. Upon arrival, check-in to the hotel for the overnight stay and dinner. After the breakfast, we shall bike to Gaurikund from where a tough trek begins. On arrival, check-in to the hotel and visit Shri Kedarnath. Later in the evening we will visit Adi Shankaracharya Samadhi at the back of the temple. We will the main temple in the morning and later move back to Gaurikund. From here we will drive to Guptkashi. Overnight stay in a hotel in Guptkashi. Today, we will leave for Joshimath via Chopta, this is one of the most beautiful and scenic sites of the entire expedition. Enjoy the beautiful motorbike ride through the thick forest and stop at Pipalkoti for refreshments or lunch. Reach Joshimath by evening and explore the surroundings. Nightstay at Joshimath. In the morning, we will visit the temple of Shri Badrinath ji. Later walk to Mana village, the last village towards the Tibetan border. Evening is free for interaction with our guide. Dinner and overnight stay in the hotel. Post breakfast in the hotel, we will ride back to Rishikesh via Srinagar, where we can have our lunch. Arrive Rishikesh by evening, check-in to hotel for overnight stay. Transfer to the international airport to take flight back home.